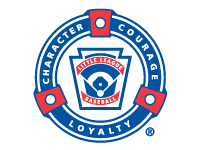 The La Grange Little League would like to thank all of its volunteers for their time and hard work. Without you this league is not possible. Thank you to all of the sponsors. Your generosity provides the necessary tools to make this expierence for the kids fun and memorable. REGISTRATION FOR THE 2019 SPRING SEASON IS CLOSED!! Contact a board member for your tickets to the 1st annual La Grange Little League Crawfish Boil on Saturday March 16th! We are planning a fun time with great food!! Tickets are $25 pre-sale, $30 at the door and sponsor tables are $400 for 8. Contact a board member for details! Click on the "Events" link to see a calendar with important dates. Please contact any board member if you have any questions!